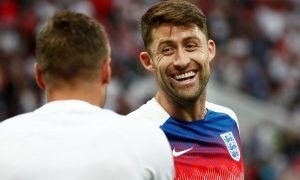 West Ham agree terms to sign international striker | The Transfer Tavern | Where football transfer rumours fly or die! The West Ham United fans are taking part in a pool tournament in The Transfer Tavern this evening and are discussing rumours that a move for a new striker has hit a slight snag. 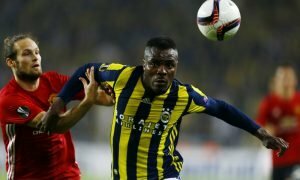 The Evening Standard is reporting that the Premier League sides move to bring in Emmanuel Emenike may take longer than they would like, although there has been positive developments. The club have already agreed personal terms with the striker but, as of yet, they have not agreed a deal with his parent club Fenerbahce or the club he his currently loaned out to, Al Ain. With the club suffering a striker shortage Bilic made the 28 year old his number one target and is keen to reach an agreement with view to a permanent move to West Ham in the summer but should the deal fail to go through, it is thought that Bilic will turn his attentions to Burak Yilmaz. The West Ham fans in The Transfer Tavern are getting agitated with the length of time the deal is taking to complete especially with the window due to close on Monday night. West Ham fans, do you need a striker or has Enner Valencia shown his class? Let us know in the comments below!